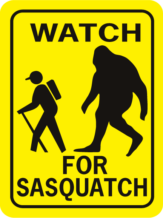 Bigfoot Watch For Bigfoot Rectangle - World Famous Sign Co.
Bigfoot Watch For Bigfoot. 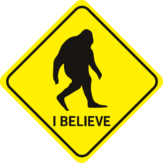 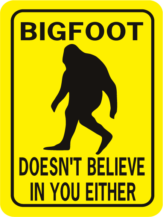 Let everyone know to keep an eye out for bigfoot! Bigfoot Watch For Bigfoot. 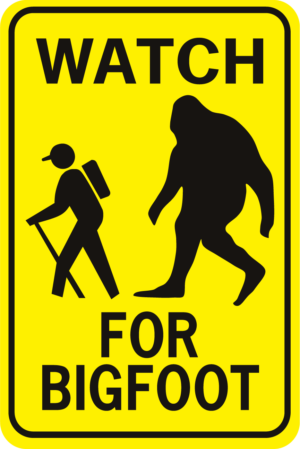 Let everyone know to keep an eye out for bigfoot! 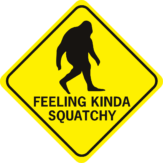 This funny metal sign can be posted indoors or outdoors.